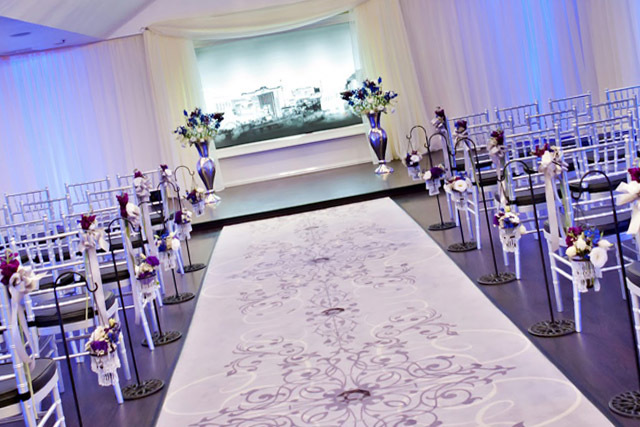 A timeless wedding is yours to be had at the Bellagio hotel. 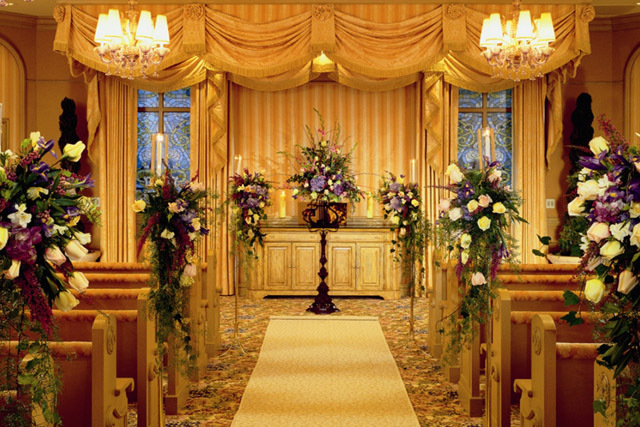 The Bellagio chapel will take care of all the mundane details for you—all you have to do to have a fairytale wedding is to share your dreams with the Bellagio and show up. There are eleven wedding packages to choose from, including a package for renewing vows. There is also a special package for Valentine’s Day weddings. Your wedding at the Bellagio can be customized with eleven special ceremonies depending on your desires. The Hotel also offers exquisite keepsake from Beverly Clark, D & D, Waterford Crystal, Silkcraft and Swarovski. Of course, catering, photography, and floral arrangements can also be arranged through the Bellagio. One of the more unique and certainly modern aspects of a Bellagio wedding chapel is the opportunity broadcast your wedding live on the internet for one week. The Bellagio is a fascinating mix of luxury and modernity and is a perfect place for a wedding. My review on this wedding chapel is that at first the staff are all over you then once you sign and pay your deposit the staff do not want anything to do with you and you feel like you are harrassing them when you call to ask for help on your wedding. I actually did not end up getting married here I cancelled a month after I paid the deposit. The deposit is good for a year which they say when they first have you sign but then after you cancel they change that and keep harassing you that you don't have long to make your decision. I was VERY disappointed with Bellagio's wedding chapel and would not suggest to anyone. I *might* recommend this chapel if you could bring your own photographer, or if the photography package they offered was somewhat reasonable. With the nazi photo package they try to force on you (your only other option is to not have photos from the wedding, except for a handful of small matte photos), I would NOT recommend getting married at the Bellagio.